At the end of March, as part of National Fraud Awareness Month, the Information Security & Compliance team in collaboration with the Office of Risk Management – Security Services, sent all employees a simulated phishing email that imitated a real attack. The email pretended to be from the university’s Human Resources department and contained the subject line, “Important notice regarding your recent tax filing with CRA”. The simulation email was sent to 5,950 faculty and staff. 587 users clicked on the link (9.87%). 183 users reported the email to the Service Desk. 19 phone calls and 12 emails to the Payroll Help Desk. Compared to previous tests in October and January, this simulation saw a rise ­— from 4% to almost 10% — in the number of users who clicked the link. Users who reported the email commented that this one was particularly well done. The U of M branding, the closing from HR, the reference to the CRA and university T4 information coupled with receiving the email during tax season, were all very convincing and may have accounted for the higher percentage of clicks in this simulation. 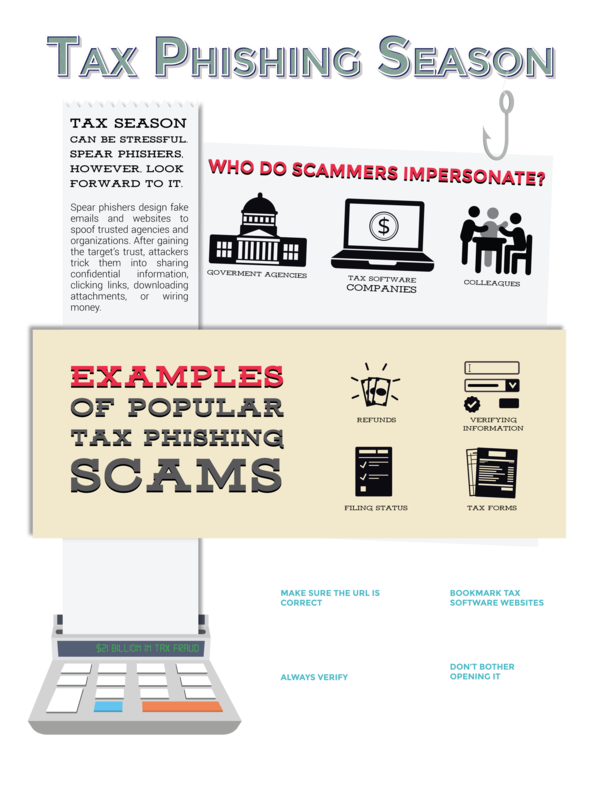 Users who clicked the link were presented with an infographic showing ways to recognize phishing emails. Simulated emails are designed to provide a realistic experience in a safe and controlled environment. They help users recognize and become more resilient to tactics used in real phishing attacks.